The Galaxy Note 8 is the next major Android smartphone to hit stores, which means it’s open season for rumors and leaks.Now, the cases for the Galaxy Note 8 are already up for pre-orders and the leaked images of the alleged screen protectors for the smartphone have further revealed the design on the smartphone. Talking first about the smartphone cases, you can already pre-order the cases for the Samsung Galaxy Note 8 from MobileFun.com. The pricing for the dedicated cases for the handset starts from Rs. 342.99. Interestingly, the design of the cases shows that the fingerprint scanner and the dual rear camera setup will be kept apart from each other with a dual-LED flash module in the middle. Notably, this design is quite similar to the recently leaked renders and suggests the same design for the smartphone’s back.Moving to the front of the smartphone, the leaked image of alleged screen protector for the Galaxy Note 8, shared by Twitter user @UniverseIce, suggests that the handset will come with curved Dual Edge display, just like the Galaxy S8 and Galaxy S8+. 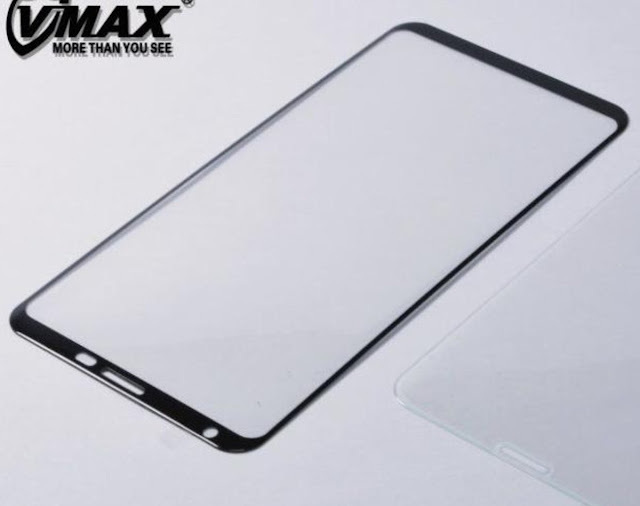 The screen protector image suggests that the smartphone will have thin bezels at the front and should be presented by the company as an Infinity display just like its S-series counterparts.